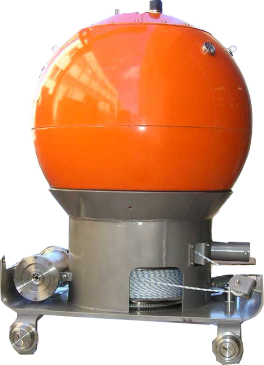 MINEA naval mines are the most advanced smart marine mines manufactured today. They are intended for training minesweeper crews. Knowing how an advanced smart mine works is essential to the safety of the vessel. Different designs adapted to different scenarios. There are three models specifically designed for the different depths and characteristics of shallow and deep waters: moored mines, shallow-water mines and cylindrical bottom mines. Much more than precision sensors. 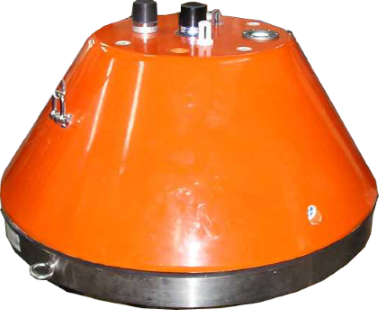 The MINEA naval mines can measure the various contact influences as they are equipped with precision sensors for their detection. 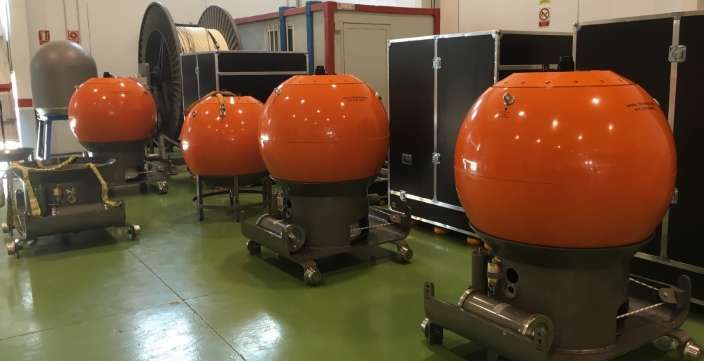 The sensors are used to measure the magnetic, electrical, acoustic, pressure and seismic influences (seismic only in shallow water and cylindrical bottom mines). However, the real intelligence of the mine lies in its processing of these influences. The advanced algorithms implemented in the mine are capable of interrelating the various signals of influence. The result is a more efficient and safer naval mine for target detection. Used for training MCM crews and exercises. In a typical exercise, the operator programmes the intelligent naval mine in sync with the mission objective. Magnetic, electrical, acoustic, seismic and pressure levels can all be programmed. These levels will be determined based on the intelligence information of the target vessel signatures. Deployment from any type of vessel or craft and automatic collection. It can be deployed from any type of surface ship using cranes, rails or ramps. 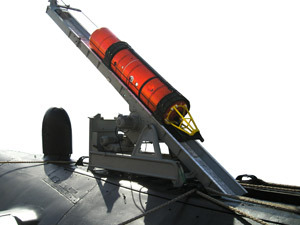 Deployment can even be made from a submarine’s torpedo tube thanks to the special design of the cylindrical bottom mine. Once an exercise has concluded, collection is simple thanks to an automatic collection system that does not require divers. Furthermore, it is safe to use on board as no pyrotechnic or pressure elements are needed to operate it. No special procedures are required for its use. It can be reconfigured once launched into the water. Any smart MINEA naval mine can be controlled once launched into the water by means of an acoustic link. Thanks to the acoustic link, it is possible to change the parameters of the mine once deployed during the exercise, saving time on changes in configuration. This, together with its ease of deployment, configuration and collection, make training safer and more efficient. Precision sensors: magnetic triaxial, electric triaxial UEP and ELFE, acoustic, seismic triaxial, pressure. Easily deployed from any type of vessel or craft. 3 designs for coastal and deep waters. Unit designed for submarine launching. Auto-recovery system controlled by an acoustic link. Remote control function via acoustic link for changing the parameters once deployed. Knowledge of influence signatures is essential for programming the firing algorithm of combat mines. SAES has the MIRS system for measuring and analysing submarine signatures the MIRS system for the measurement and analysis of submarine vessel signatures. MILA – Demolition Charge for Special Operation Forces.